A new federal government satellite is now capturing the imagination of millions of Americans. I can guarantee that you’ve never seen an image of the Earth like the ones just released by NASA. There have been many photographs taken of the Earth from space. Apollo 17 astronauts took the ubiquitous original “Blue Marble” photo in 1972. The Mars Rover took an incredible one in 2004. Then there’s this image created from satellite data in 2002. Many were amazed by this visualization of the vastness of the universe, none more so than the great science communicator Carl Sagan. 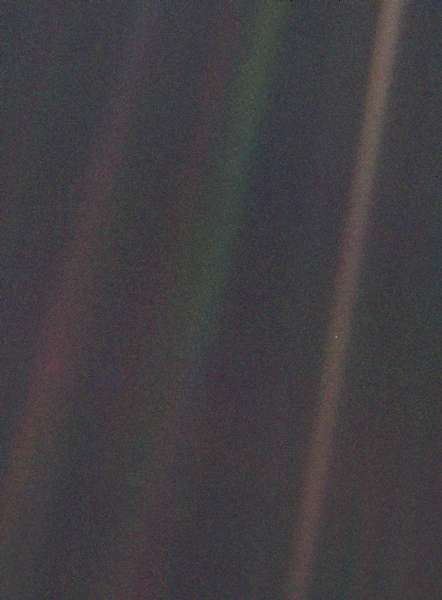 He made the Pale Blue Dot famous in a graduation speech and later in his book of the same name. Hear him read from it. The other day on Frontline, UCS Nuclear Engineer Dave Lochbaum recalled that UCS co-founder Henry Kendall “used to say that you can’t have but one half of a boat sink,” that here on Earth, we are all in it together. Fast forward two decades. 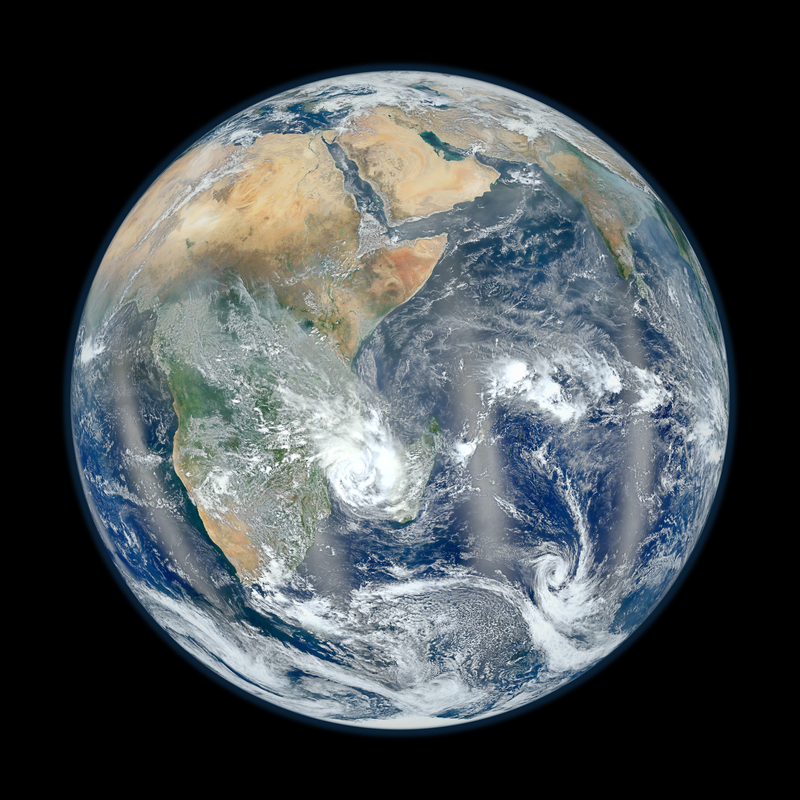 In October 2011, NASA launched the Suomi National Polar-orbiting Partnership (Suomi NPP), an Earth-observation satellite that orbits the globe every 102 minutes at a distance of 512 miles. Suomi NPP is the result of a collaboration among NASA, NOAA, and the Department of Defense. Here’s a great video from NASA that describes the NPP program. You’ll get a better view on NASA’s Flickr site. UPDATE: In a comment below, Norman Kurning, who created this image, tells us that it was put together from data collected during four separate orbits. The image is from a perspective of 1320 miles, or one third of the radius of the Earth. View the high-resolution image. The perspective of each the second image is as if you were viewing the planet from 7,918 miles (one Earth diameter) above the surface. Learn more about how these images were created. I can reproduce these images on this blog, just as you can print them out and frame them for your living room wall, because they were produced by the federal government. They’re royalty free. And they’re wonderful. Of course, this is about far more than pretty pictures. The Suomi NPP is collecting data on long-term climate change and short-term weather conditions. NOAA uses the data from polar orbiting satellites for weather monitoring, and points out that polar-orbiting satellites helped predict the 2010 “Snowmageddon” East Coast blizzards several days in advance, enabling federal, state, and local governments to keep people safe. The data from Suomi NPP are already telling us more about how much energy is entering and exiting the Earth’s atmosphere, documenting how out of balance Earth has become due primarily to overloading our atmosphere with carbon. This new government satellite helps remind me of our place in the cosmos–and how federal research initiatives are critical to helping us understand and better manage and care for the Earth we inhabit. Thanks Norman, for the correction, which is now reflected in the text above. I couldn’t find anything on the NASA website about how the first image was created, so I assumed that both images were developed from the same perspective and with the same number of orbits. Other readers should know that Norman Kuring is the NASA scientist who created these images, so we have this information on very good authority! It would be nice to see the other “sides” of the Earth at the same perspective, to get a full view of this space rock we live upon. Maybe you could create an animation of a spinning Earth. And if we had other pictures/animations with gridlines, we could see where on the world we are. I have one correction to your description. from the higher vantage point. Gorgeous. And amazing. It would be pretty fun to see one of these satellites get launched some day. Thanks for posting this…now I have new desktop wallpaper!